A small tower in Torremolinos. The sign says “Hidroelectrica del Chorro”. 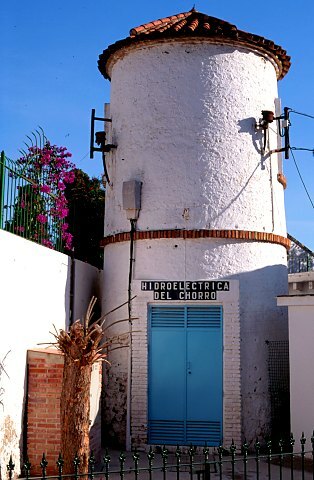 This was the first company producing electricity in M�laga. “El Chorro” is a small village near the dam and hydroelectric plant in Antequera, but the name also refers to the whole “Andalusian lake district” with its famous climbing opportunities.